Step back in time and visit this prehistoric American Indian site. 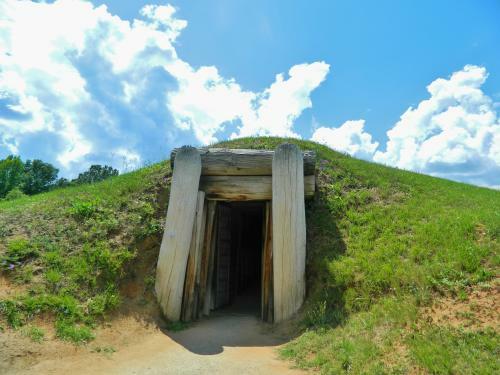 Ocmulgee has had 17,000 years of continuous human habitation and artifacts from the past are still present today. Explore the museum with over 2,000 artifacts and watch an informative orientation film. After exploring the museum, venture outdoors to see the Earth Lodge with its original floors that are dated to 1015. Hike through a number of trails located at the park. Pack a family picnic to enjoy on the grounds&apos; shaded picnic tables. Discover why Macon is where history lives. The park&apos;s 702 acres include fields, forests, and wetlands located along Walnut Creek and the Ocmulgee river. The Ocmulgee Wetlands allows visitors a glimpse into an ecosystem including birds, animal, reptiles, and plants. Immerse yourself in the wetlands environment by taking a stroll on the park&apos;s boardwalk. 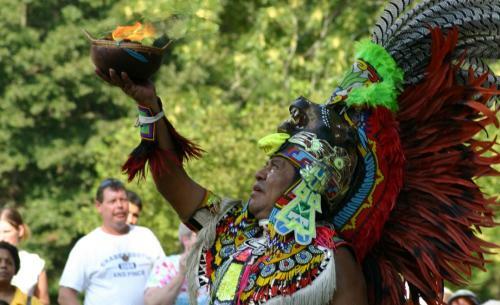 During the third weekend in September, attend the Ocmulgee Indian Celebration, one of the largest Native American gatherings in the Southeast, as more than 200 craftsmen, dancers, storytellers, and living history demonstrators come together and share their culture with visitors. The Earth Lodge was once the Counsel or Ceremonial Chamber of the Mississippian people of the Macon plateau. The walls and ceiling were reconstructed in 1937. However, the floor is original and was constructed by the Mississippian people in 1015 AD. 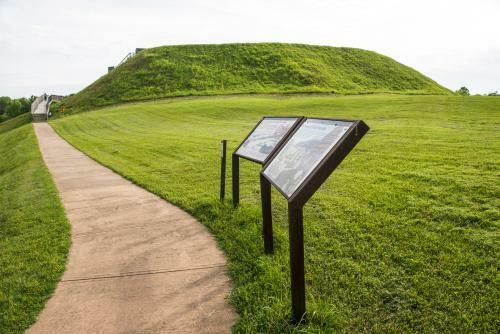 Built between 900 - 1100 AD, The Great Temple Mound originally had a dirt ramp that led to a prominent structure built on the top of the mound. 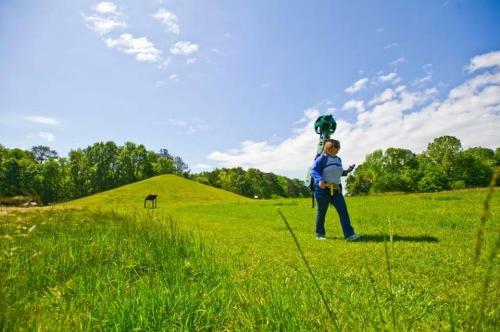 Today, travel to the top of the Great Temple Mound for a great view of Downtown Macon. The only burial mound in the park, the remain of over 100 people have been found with the Funeral Mound. Some of the bodies were buried with items like copper ornaments. 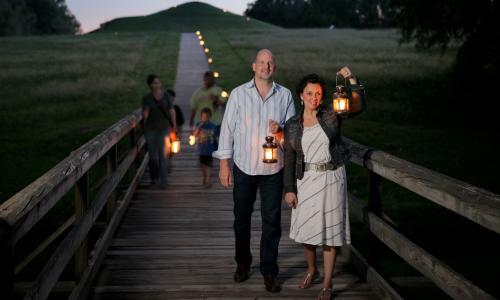 Occurring on select weekends in Spring, grab a lantern and walk along the luminary lined path from Ocmulgee&apos;s Visitor Center to the Great Temple Mound.